Q: How long is the Turbo Tutoring Seminar? Q: How much does the seminar cost? Q: How many sessions does a student need to attend in order to learn about all necessary parts of the SAT and/or ACT? A: Just one. Turbo Tutoring is an accelerated SAT or ACT test prep program. 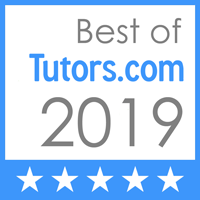 Turbo Tutoring has taken weeks of instruction and accelerated the delivery of the information so you get everything you need in one SAT or ACT test prep session. It’s important to know that this isn’t a condensed course. Turbo Tutoring addresses the aspects of the SAT/PSAT/ACT tests that are most essential to a student’s success on those tests. Q: Who is the SAT/ACT prep seminar designed for? Motivated students who are looking for higher SAT/ACT scores for college, or higher PSAT scores for National Merit Scholarships, or admission to selective high schools. Families who do not want to spend $1000+ on prep classes. Students & families who do not have the time to commit to multi-session prep classes due to extracurricular activities. Seniors who are looking for a late boost in scores in their final attempts at the SAT/ACT exam. 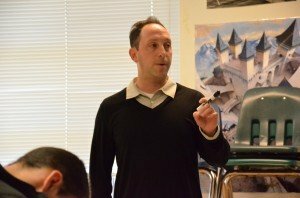 Q: Is it better to take one of your seminars right before I take the SAT/ACT, or should I take it months before my test date and use my time in between to study and practice? On one hand, what I would do is attend a Turbo Tutoring session several months prior to my test date. That way, I could practice the strategies and familiarize myself with the techniques and go into the real test very comfortable in what I know and need to do. They say “practice makes perfect” for a reason. I’m definitely a practice guy and always emphasize that with the kids. On the other hand, some people would rather come right before they take the real test… like a few weeks or a month before. That way, the information is fresh in their minds. I can see that side as well, but I don’t know that that is the way I would go. Our techniques are important and valuable, but practicing them is what will make the real difference. If your son is responsible and diligent enough to practice on his own, then I would go with the first option. If you’re unsure that he’ll do that, you might consider the second. I wish I could give you more than that, but it sort of depends on your son and what you think he will do. Everybody tells us that we’re boosting their kids’ confidence and making the SAT seem so much less scary. We joke about lots of stuff in the seminars to try and lighten the tension of the SAT/ACT experience. That’s really important too, so maybe carrying THOSE feelings into the test is just as important as practicing for it. I’m not sure. Again, everyone is different. 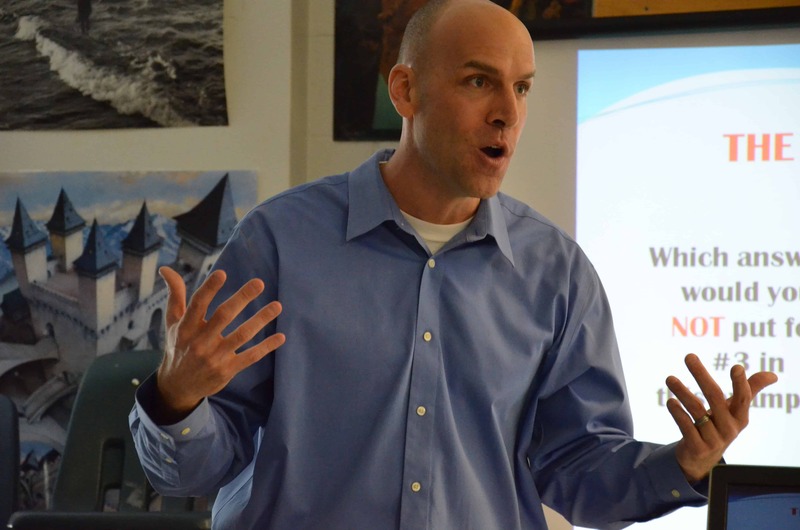 Q: Why should we choose a Turbo Tutoring SAT/ACT Prep Seminar? A: We provide a unique style of looking at the exam. We want to provide a reasonably priced and effective seminar so that students feel more prepared to take the SAT/ACT, and have a confidence going into the test to succeed at their highest level of ability. We are also conscious of time, as this is a one-time only seminar where we pack all of the information as to how to succeed on this very important exam into a single session. Q: How is the SAT/ACT Prep Seminar structured? Is each section of the SAT/ACT covered? A: Yes. We provide an overview of the test construction, and then cover strategies for each section of the SAT or ACT exam. Q: What do parents and students think of the Turbo Tutoring seminars? A: See the testimonials tab above to read what people are saying about Turbo Tutoring. Q: Does the student get anything tangible from the SAT/ACT Prep Seminar? A: Yes. There are workbooks that students receive to interactively work on during the seminar. Additionally, there are take-home questions for the sections, and suggested materials to look at in preparing for the SAT/ACT exam. Q: About how many students typically attend your SAT/ACT Prep Seminar sessions? Turbo Tutoring is averaging twenty five to forty students per SAT/ACT Prep Seminar. Q: Is Turbo Tutoring involved in social media outlets? A: Yes! We have a website (www.turbo-tutoring.com), Facebook Page (www.facebook.com/turbotutoring) , and a Twitter feed (@TurboTutoring). Please follow us and “like us”! Q: Is it true that you guys give out scholarships? A: Yes! Turbo Tutoring is very involved in charities and supporting the community. We gave away over $5000 in our first full year of business. We supported various school groups, like the PTSO’s at Briar Woods and Stone Bridge, the PTSA at Westfield, the Westfield Band, and the Centreville boys baseball team. We also donated certificates for free admission to our seminars to several local auctions. 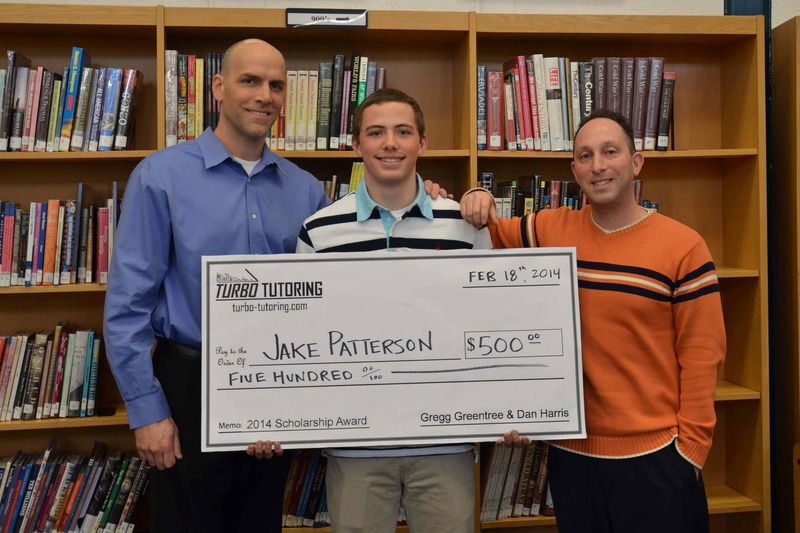 And any student who attends a Turbo Tutoring seminar qualifies for our scholarship awards. We gave out four last year and have already given out two in the first few months of 2014. We look forward to continuing our support of the community. Q: When are the next SAT/ACT Prep Seminar Sessions? A: Check the calendar to see future dates, but we typically offer SAT Prep Seminars a month prior to the scheduled SAT and/or tests. So if you’re planning on taking an SAT/PSAT/ACT test in March, odds are there is an SAT/ACT Prep Seminar session in February! Q: Does Turbo Tutoring work? A: It can. It has! There have been many students who have come through our seminars and taken many positive experiences away with them. We’ve gotten reports of improvements over 300 points. We’ve had other parents thank us for how relaxed we made their kids feel about taking the SAT or ACT, and for minimizing their stress level before going into the test. The truth, however, is that not everyone improves. Peyton Manning can give you an afternoon lesson on how to throw a football, but it doesn’t guarantee that you’ll get any better at it. How much a kid listens in our seminars, how many notes they take, how much they absorb, how much they study later, how hard the version of the SAT they get is… all of these factors impact the success rate of any tutoring program. We have tried really hard to put together a course that will give students a chance to get closer to the scores they want on the SAT or ACT, but we wouldn’t be honest if we didn’t mention that it was not a guarantee. Q: This sounds great! Can Turbo Tutoring come to my school/town? A: Contact us! Turbo Tutoring can schedule the SAT or ACT Prep Seminar at your school, community center, or private location based on the number of people interested!